Pass in any +2 like Kerala +2, Kerala +2 VHSE, +2 CBSE, +2 ISC or Equivalent. 45% aggregate marks for Mathematics, Physics and Chemistry taken together. 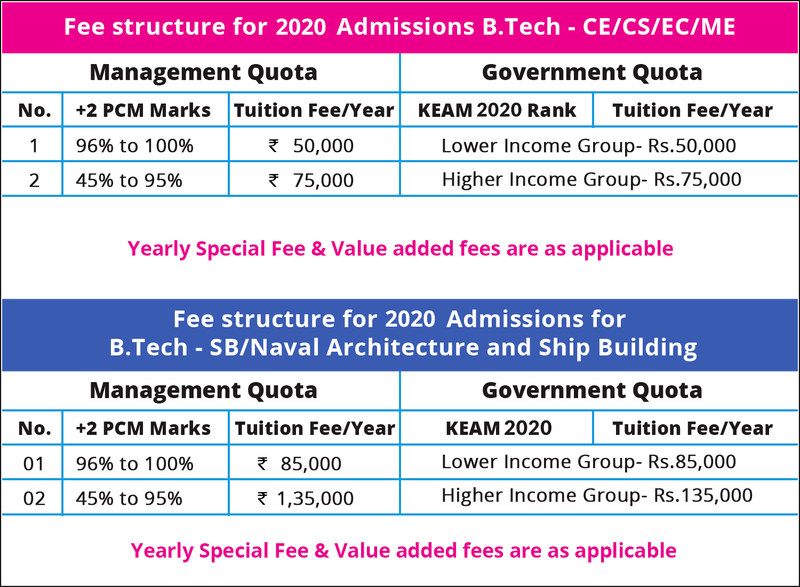 Qualified/Rank holders of KEAM 2019 or KEE 2019 or JEE 2019. * Marks if not available now, shall be submitted within 10 days from publication of qualifying examination results.